So what do real food, urban homesteader bloggers (who walk to pick their kids up from school) do in the afternoon? They try to find ways to legitimately inject a bit of alcohol into their days. Not every day. But sometimes. You know what I mean… how many of those stews you make really need that half-cup of wine? Outside of the amazing chefs who actually know what they are doing (and maybe even them) wine gets added because the recipe maker thinks the wine will make the finished product taste better or, more likely, she thinks it’s too early in the day for a glass of wine but wants one anyway. So while I was standing in the kitchen, creating the next installment of my Pumpkin Spice series using my Homemade Pumpkin Spice Mix, and wondering if my Pumpkin Spice Cider was going to turn out as delicious as I thought it would, I began to think that, regardless, it would be better with whiskey. I mean, it was all in the name of experiment, right? With good pictures, and an eventual article. Yes? Though, to be fair, this Pumpkin Spice Cider is actually quite delicious without the whiskey, so if you want to feed it to your kids, or feel like you might need to drive somewhere in the near future, it’s fine to leave it out. Add all the ingredients except the whiskey to a small pan and warm through, stirring often. Add a shot of whiskey to the bottom of a mug, and making sure the cider isn’t hot enough to flash off the alcohol, add it to the whiskey. Give it a quick stir, and enjoy. 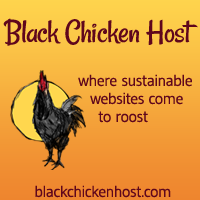 This post was shared with the Backyard Farming Connection, on Fat Tuesday, the Healthy, Happy, Green & Natural Blog Hop, and Hearth & Soul. 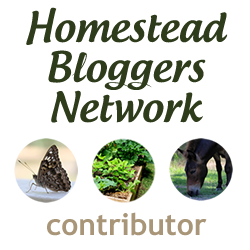 And Natural Living Monday, Mostly Homemade Monday, the Homestead Barn Hop, Thank Goodness It’s Monday, and the Clever Chicks Blog Hop. Tagged hot apple cider, mulled cider, Pumpkin spice cider, whiskey. Bookmark the permalink. What a wonderful way to celebrate fall and pumpkin season! Your spiked pumpkin spice cider is just the thing to warm the soul on a cool fall or winter’s evening. It’s a nice “special drink” to share with friends and family! Thank you so much for sharing this yummy beverage with us at the Healthy, Happy, Green and Natural Party Blog Hop. I appreciate it!